Delighted to be among some of Sligo's most successful Women in Business in this weeks The Sligo Champion. Am so proud of what has been achieved at The Claudia McGloin clinic in only a short 6 months and the future prospects of the clinic are growing daily. 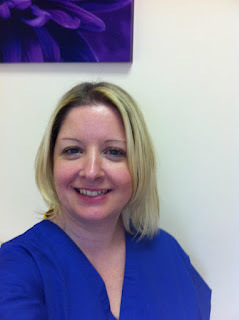 Claudia McGloin was interviewed in February 2012 about moving back to Ireland and setting up the first Medical Aesthetic and Colonic Hydrotherapy Clinic in Sligo, Ireland. There has been an influx of people coming into the clinic over the past couple of weeks asking for Anti Wrinkle Injections. However, on consultation it becomes apparent that what they are actually looking for is Dermal Fillers. Some people don't realise that there is a difference between the two or indeed know what each of them actually do. 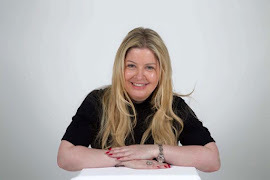 I will briefly explain the difference between Anti Wrinkle Injections and Dermal Fillers here but further details can be found on the clinic website www.claudiamcgloinclinic.com or on the facebook pages - Claudia McGloin Clinic or Anti Wrinkle Dermal Fillers Sligo. If you require any further details please call the clinic. Anti Wrinkle Injections reduces the activity of the muscles that cause wrinkles such as Frown Lines, Worry Lines and Crows Feet. It works by blocking the signals from the nerves to the muscles reducing the muscle movement and causing the wrinkles to relax. This is a temporary treatment. Results are usually seen around day 3 but the full effect won't be seen until day 14. These treatments will last about 3-4 months. Dermal Fillers fills the lines and wrinkles and plumps up the skin by adding volume. They are good for enhancing Lips, Sunken Cheeks, Forehead Lines and Nose to Mouth grooves. These injections can last up to 10-12 months. The effects of Dermal Fillers are seen immediately. Both these treatments work well together or as stand alone treatments. Apart from the treatments mentioned, there are a number of specialised treatments that can be done using both of these injections. Claudia McGloin has been trained to an Advanced Levels in Aesthetic Injection Procedures and can perform these treatments such as the Nefertiti Neck Lift. At the Claudia McGloin Clinic we believe in a 'Less is More' approach to enhancing your natural beauty. We will work with you to get your desired look and we will advise you on the best treatment or combination of treatments best suited to you. We ensure that all products used at the clinic are safe and have been approved for use with proven results. We will NEVER compromise on our patients safety. Below are 'Before and After' pictures of Claudia following treatment using both Anti Wrinkle Injections and Dermal Fillers. What is Osteoarthritis and what treatments are available at the Claudia McGloin Clinic. 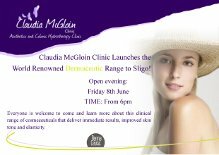 The Claudia McGloin Clinic are having an Opening Evening to launch the World Renowned Dermaceutic Range into the clinic. This event will take place in the Claudia McGloin Clinic, First Floor, Millennium House, Stephen Street, Sligo, Ireland on 8th June 2012 at 18.00. Come along and see some Skin Peel demonstrations and view the full range of Dermaceutic Skin Care products available. Have your skin analysed with the latest computer skin analyser - Skin Scanner. Discounts on treatments and products will be available on the evening. Places are limited for this event so please contact the clinic on 071 9140728 or email claudia@claudiamcgloinclinic.com to secure your place. I just LOVE LOVE LOVE the Dermaceutic Range and am sooooo pleased to be able to introduce it into the clinic. I know you will love it as much as I do! 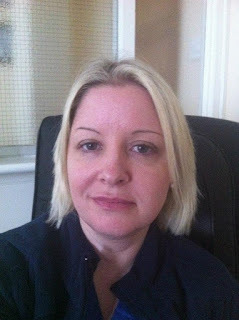 Claudia McGloin is a Member of The College of Phlebology. Can I ask you to please spare a couple of minutes and complete the survey below? It is about Sun Care. The Claudia McGloin Clinic are interested in how people perceive the sun and how they protect their skin against the UV rays and to protect against Skin Cancer. Stress, a poor diet, alcohol and smoking can overload the body leaving you feeling like you've got a permanent hangover or worse - bloating and sluggish! At the Claudia McGloin Clinic we offer 2 DETOX treatments - Colonic Hydrotherapy and Aqua Detox. Are you feeling or experiencing any or all of the following? If you answer YES - then a Colonic Hydrotherapy treatment is what you need! Did you know that 80% of ALL illnesses start in the colon? Most people have no idea how much old, hardened, impacted faeces there is in their colon. Many experts believe that the average person stores between 5 and 20 LBS of faeces in their colon while a person who suffers with constipation can store up to 40 LBS of faeces in their colon. This faeces has been building up over time and sticks to the wall of your colon. It can reach up to 3 inches thick and can be the same texture as the tyre on your car! In addition to the compacted faeces in your colon, there is also bacteria, toxins and parasites in your colon! A Colonic Hydrotherapy or Colonic Irrigation as it is otherwise known is for YOU! Gone are the days when it was frowned upon to talk about bowels and bowel movements. We all need to talk about it...it is a NATURAL process that occurs in everyone's bodies on a daily basis! As a medical professional. I deal with POO on a daily basis and nothing shocks me anymore! I have had several Colonic Hydrotherapy treatments and I LOVE them. They are amazing treatments to not only kick start your DETOX but also to rid the body of all the unwanted toxins that are causing the body problems. Don't just take my word for it...Have a treatment and see for yourself. Go on...all the celebs are having them...your friends and family may be having them and if that doesn't sway you then what better gift to give yourself than the Gift of HEALTH? ?